Good morning & welcome to another "48 Hour Flash Sale!" This sale is for 48 hours ONLY that is going on right NOW & will end on Sunday, April 1, 2018 @ 7pm PST. Next up for this blog hop is the TALENTED Miss Emily! Visit here blog HERE! GOOD MORNING Miss Emma!! OMG What a Cutie of a Flower Tag!! Yours is so Beautiful!! What a Pretty Flower!! Great treat bag....never thought of using the Tie String Burlap bag in this way...I have several...LOL!! Love your clever idea of attaching to the bag too definitely brilliantly done!! Your sisters are in for a super sweet treat!! Thanks for the fab Easter Surprise!! Can't wait til mine arrives!! Wishing you a Fantabuous Day!! YOU so ROCK!! Oh how cute Emma!! 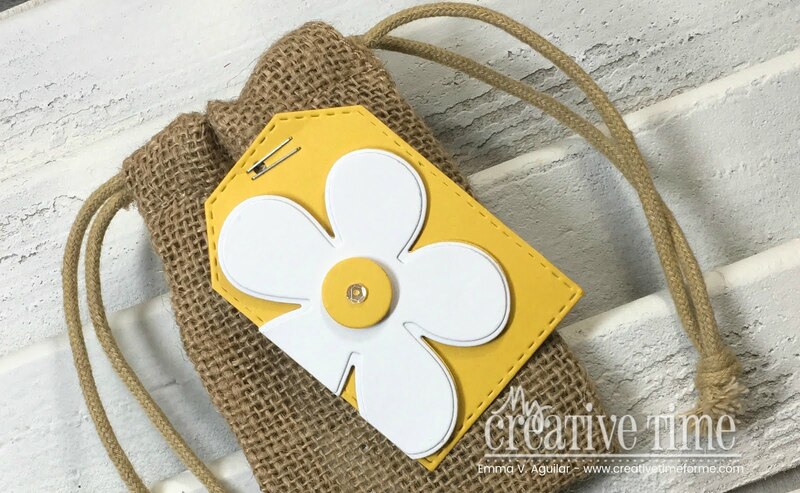 Love this new flower tag die and the Mini Spring Greetings stamps are perfect for tags etc. Awesome new release! Oh, Emma! This is beautiful! The yellow tag is so happy and goes amazingly with the burlap bag!! 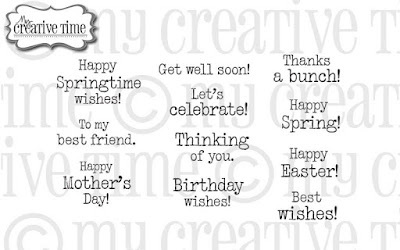 Love this tag set and sentiments! 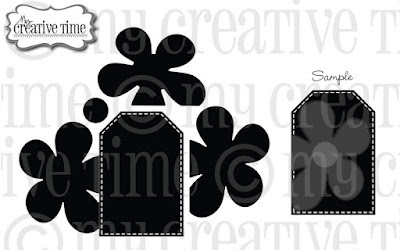 What a super cute new tag die set! Happy Easter to you and your family! Such a great post. I love the big pretty flower on the tag! Love love love this new tag! It is darling and PERFECT for a quick little tag. This is going on my wish list for sure! I loved the yellow and white combo you used on your sweet tag. 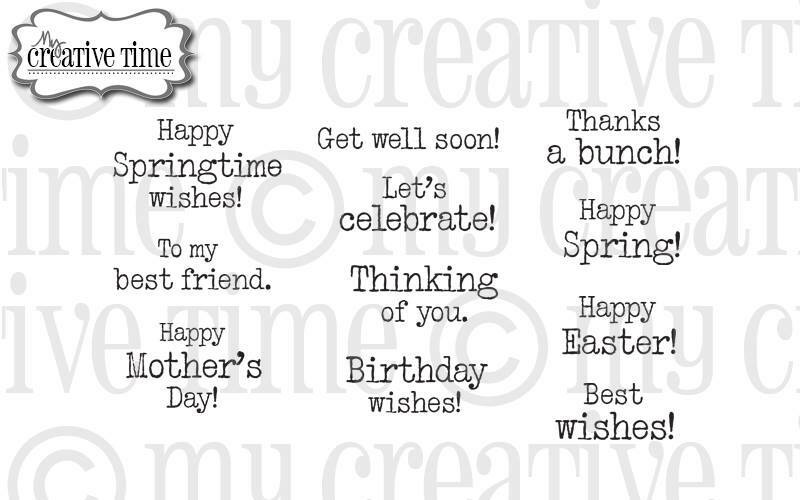 The new sentiments are so sweet and versatile too! So much to love about today's post and all the fun projects shared by the design team. Cute!! Love the flower tag!! That is an adorable gift and your sister will love it. I hope you and your family have a very Happy Easter. Emma, I had to come back and tell you what an amazing job your DT did showcasing this adorable set! Wow, so many idea's..Laurie had so many fun ways to use this set :) Looks like a great one for mass producing! 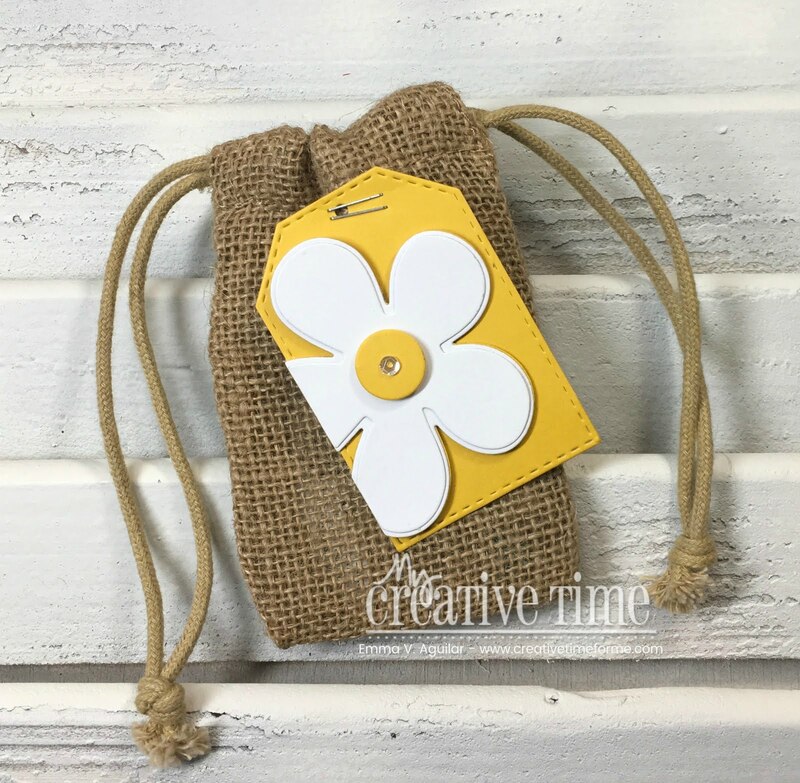 Darling tag for the little canvas bag! Love this Cute Flower Tag die and the sentiment set! Love the new tag set! It is absolutely beautiful! Such a pretty flower too! 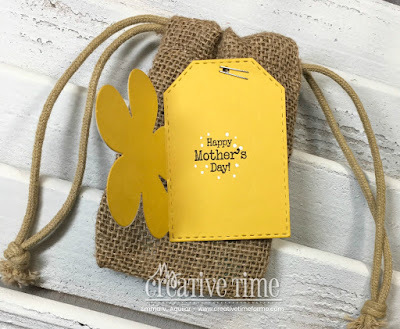 Cute tag and gift bag. Perfect for Mother's Day, Easter, and so much more. I love this tag, and your cheery yellow and white version is so adorable!!! I love your step by step videos this tag is adorable!!! I love it! Cute tag design. Looks great with the burlap bag. 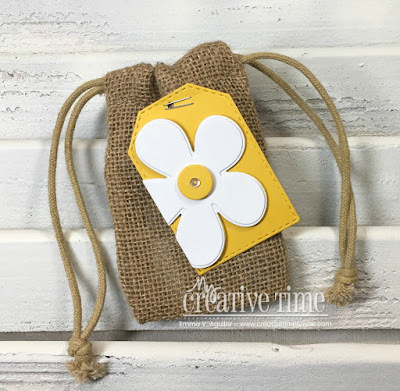 Love the darling tag with the burlap. Great sentiments, too. Oh my !! How cute is the little tag on this burlap bag !! And the color combo is just perfect !! Love the tag as a small card. have room for a note inside.